Today is the first really nice day we have had here. The sun is shining brightly but it is relatively cool. Somewhat like a nice day at Tahoe. It rather suddenly became cool around midnight and we all woke up and pulled on blankets for the first time since we are here. We have been sleeping for the most part au naturel, tho’ once or twice have slipped under a sheet. It was really a change last night!! I wish it would stay this way the whole time we are here. After writing to you on Saturday noon, I loafed around again, reading some but in general doing nothing but sweating. We left on the 5:22 P.M. train and got into NY at 6:10 P.M. This time we went to the Hotel Pennsylvania, which is right across from the station. 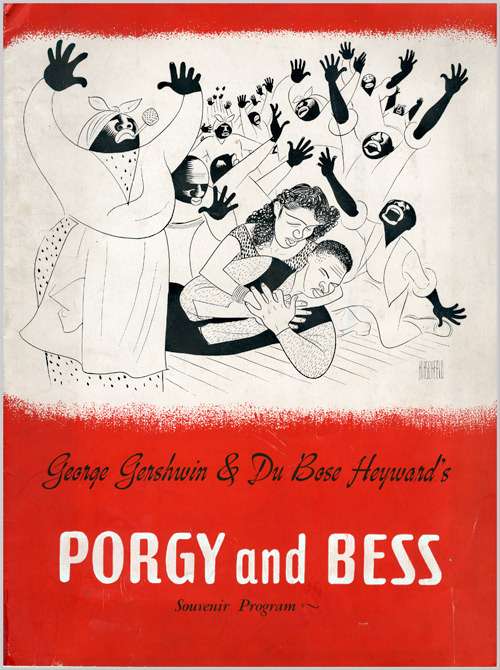 Got tickets for Porgy & Bess for that evening and thoroughly enjoyed it. We had seats in the front row! Following the show we went to Barney’s Steak House to eat. Had wonderful steaks for only $1.35. Then came back to the Penn where we got into dance for a little while to Glen Gray’s orchestra, for nothing. Got up fairly early – i.e. 7:30 A.M., that is, Lois was the only gal to get up that early and Marv Kahn and I got up at that time also. Had breakfast, the 3 of us, at an Automat, and then took an open top bus out Riverside Drive to the end of the line, which was at a park whose name we could not find out. We walked around this park for a while and then headed back. 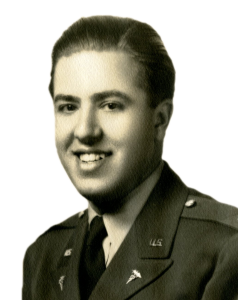 We went to see Bob Jacobs at John Jay Hall on 116th St. We didn’t know until we got there that John Jay Hall was part of Columbia Univ. until the Navy took it over. We had no trouble seeing Bob, tho’ I was a bit confused by Naval customs as they consider the Hall a ship and consequently when you “board ship” you have to salute the stern where the flag is flying – of course we couldn’t see the flag and had to be told that one end of the building was the stern. It was most confusin’. 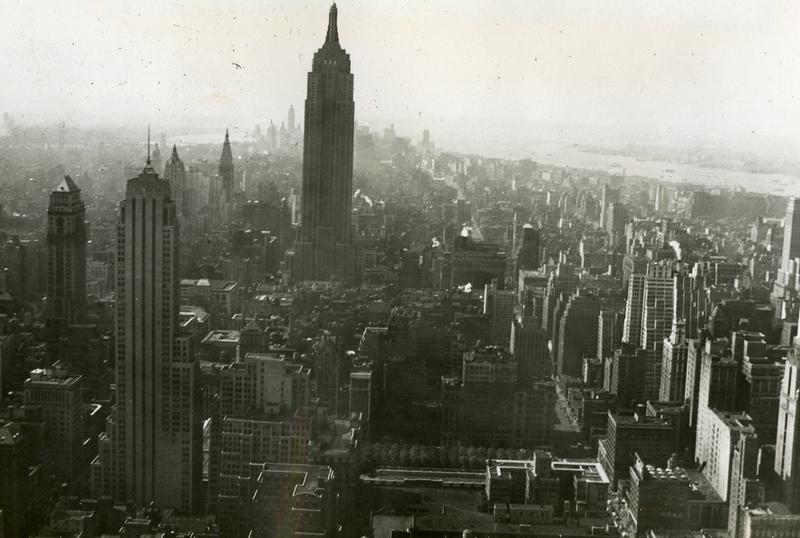 After lunch Lois and I went to the top of the Empire State Bldg. It was free for Army and Navy people yesterday. What a view!! While we were on the outdoor porch and observatory on the 86th floor it started to rain – to really pour – and the wind was blowing with plenty of force. However, the rain stopped just as suddenly as it had started and the view was far clearer than it was before the rain. From there we could see the Normandie on its side and also the Queen Mary and Queen Elizabeth, which were alongside of the Normandie in the docks. Took our time at the Empire and then got the 4:10 P.M. train home. Most of the gang was on the same train. A passenger ship built in France in the 1930s, the SS Normandie was seized in 1939 by U.S. authorities at New York and renamed USS Lafayette. While being converted into a troop ship, the liner caught fire on February 9, 1942. 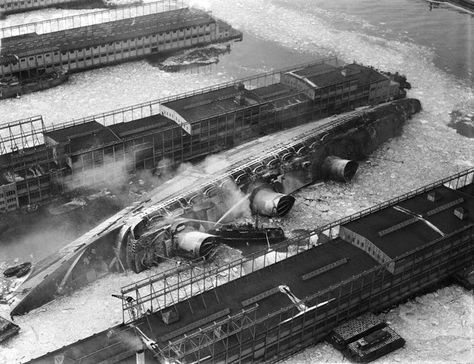 Badly damaged by the fire, it capsized and came to rest on the mud of the Hudson River.